DIAL THERMOMETERS work on principle of bi metal expansion. Scale or range of temperature which DIAL THERMOMETER can measure may very from -200 0 C to 650 0 Centigrade. DIAL THERMOMETER consists of a sharp metal indicator which is fixed on a circular temperature scale. There are two main components , one is a needle and another is a temperature sensor. 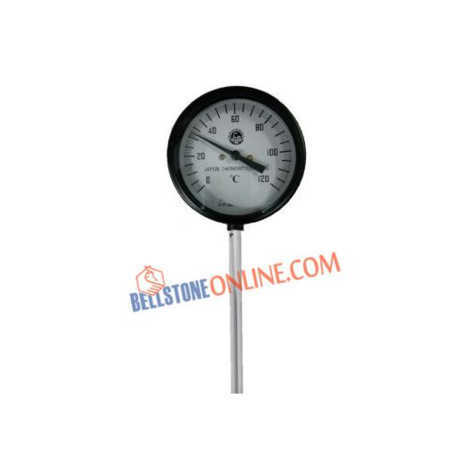 Few more types of DIAL THERMOMETERS are Liquid type, Gas filled and Va pour tension dial thermometers.